Leading Manufacturer of jute ribbons, jute buntings and coloured jute ribbons from Kolkata. Pioneer in the industry, we are engaged in presenting an impeccable range of Jute Ribbons. 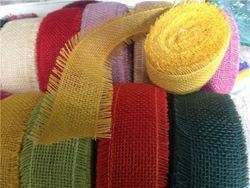 These ribbons are designed using quality jute, cloth, threads and other materials that help in strengthening the ribbons. Veteran professionals use modern technology and advanced sewing machines for crafting and stitching the ribbons. Also, the ribbons are available in various sizes, shapes and colours. 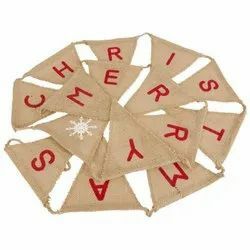 Being a prominent firm, we are engaged in offering best quality printed jute buntings. Looking for Jute Ribbons ?